[Updated on 9 March 2018] At Colours of Vietnam, we pride ourselves on handpicking a selection of experiences which tourists have very little access to. (Otherwise, why would anyone need a tour guide). 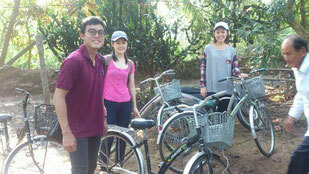 On that note, there is a whole lot more to Mekong Delta than just dancing performances and horse cart rides. Below are 5 of our favourites, which have made our Mekong Delta experience a big hit with many of our more adventurous clients. What better way to start your day in Mekong Delta, than to take a short tour on 2 wheels around the village, and to fully immerse yourself in the local community. Experience for yourself, the warmth and hospitality of the Vietnamese river dwellers. One of the key exports of Mekong Delta is fresh fruit, including the popular Dragon fruit, mango, pineapple, and grapefruit - which explains the largest 185 ha fruit cultivation area in Southern Vietnam. Nothing beats exploring these farmlands, and tasting these delicious produce right from their sources. Another source of livelihood of which the locals are heavily dependent on, is fishing. And unlike the big sophisticated fisheries which dominate most fish-rich areas, Mekong Delta is sprawled with these micro fisheries on stilts - usually out of bounds to visitors. This is a privileged opportunity to witness how these locals carry out their unconventional means of rearing their catch. A popular sport in this part of the world, Mekong river fish are caught with bare hands and sold fresh to the restaurants. 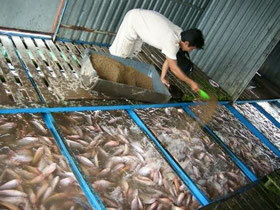 So, would it excite you or freak you out to know that this is where your dinner probably came from. In any case, this would definitely be an interesting sight, should you decide to watch the spectacle, or maybe even participate in it. From where we come from, these magical sightings are only found in storybooks and documentaries. But if you are looking for something memorable to post on Instagram, this is it. A wonder moment to behold, this is definitely the climax to your visit to the Mekong Delta region. 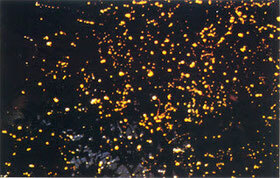 The above can be found on our day tour to Mekong Delta.